Welcome to Terra’s Tree House. 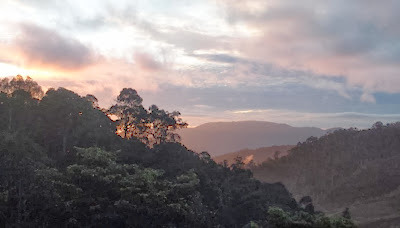 Terra’s Tree House is located deep into the mountain region of Cameron Highland. In order to preserve this wonderful, beautiful and tranquility land, we refuse to use any machine for land leveling and massive agriculture development purposes. Up holding our vision of providing more people with the opportunity getting closer to our Mother Nature, we have strived to remain its original appearance at best. Getting to Terra’s Tree House requires a 4 wheel drive off-road journey for 4 km. The journey may take up to half an hour drive passing through numbers of farms and orchards, via a very narrow and bumpy trail. From the entrance arch of Terra’s Tree House, one need to hike for about 400 meters through a log piled trail created, which may take about 10 to 15 minutes up hill (The owner’s kids take 10 minutes, indeed). It might be a little bit of challenging for people who do not exercise at a regular basis, since the mountain trail is quite steep. Considering the luxurious fresh air and scenic view offered, you are much welcome to take your own sweet time, slowing down your pace, breath in the fresh air and enjoy the breath taking view! It is definitely better for one to bring along a lightweight backpack instead of trolley luggage. 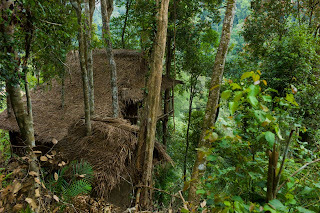 All of the bamboo and Nipah palm’s leaf (Atap) used for our Tree House construction were built by our native people (Orang Asli); carrying them all the way up hill through exactly the same route you’ve just been through from the Arch to our premises. There are six Tree Houses, a main Activity Hall, and a common Kitchen right next to the activity hall. The water supply is directly brought in via a hidden and clean mountain stream. Electricity is powered by our generator, available at limited hours from about 6:30 to 10:30 pm. You are advised to bring along a flashlight for night time usage. We understand this could be a bit of inconvenience to you, however, consequences of limited electricity, it creates lesser electromagnetic interference and disturbance, and manage to bring good night sleep and quality rest for many of our friends. Tree House temperatures range from 16 to 25 Degree Celsius. During the raining season, the temperature may drop down to 14 Degree Celsius. We prepare a 100% cotton quilts, bed sheets and blanket, and mostly organic cotton, too. Your gentle handling and care would be very much appreciated. Please help to bring along your own toiletries and towels too. Waste disposal - Please help to place any biodegradable kitchen waste into our kitchen compost pail. Other waste such as plastic, glasses, or paper, please place them into the classified bins available, in the common Kitchen area. We do encourage guess to help keeping the jungle clean and bringing out the rubbish too. At normal rate stay, we'll help prepare you the food, and mostly organic ingredients. Please do not waste any food to help and safe our Mother Earth. For happy chef and cook, do contact us in advance and we're more than happy to have you "playing" with us in the kitchen. You may use any ingredients available inside our common Kitchen; they include the organic vegetables, seasonings and dry food. We may help to coordinate food preparation timing when there are multiple groups of guests at Tree House on the same day. You may bring along the hot water and cup into your room, do remember to return them back to the kitchen before check out. To check in from Sunday to Thursday is opened for 20pax and above group booking only. Check in Friday， Saturday and Sunday, we welcome 4 days 3 nights, 3 days 2 nights or 2 nights 1 day stay for everyone. 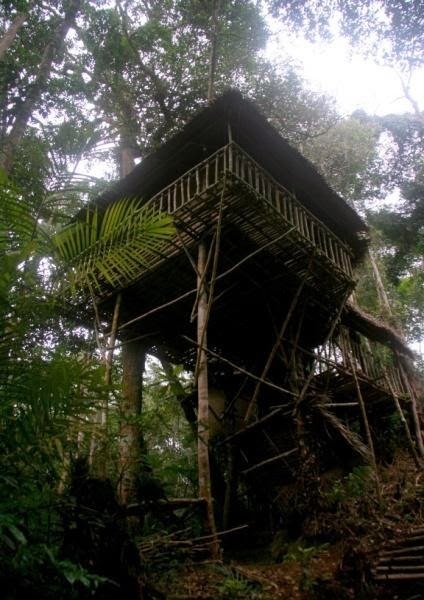 Minimum rate for each tree house is RM360 per night if you are travelling alone or in 2 person. If you have 3 people or above in a Tree House, each person rate is RM160/adult (age 13 years old and above) or RM125/kid age 4 to 12 years old, RM0 to toddler age 0 to 3 years old without separate bedding. In case separate bedding required for toddler age 0 to 3 years old, one time charges of RM50 imposed. The price include 4x4 vehicle pick up in and out from Tree House only at our defined pick up time, a dinner and a breakfast. For 2 nights or more, lunch is included for all the full days during your stay. Rate for Public Holiday and School Holiday is RM180/adult/night and RM130/Kid age 4-12.Min Charges RM400 if you have less than 3 pax in a house. RM90/trip. This is only possible when we have enough drivers to offer you this service. Please address your needs in advance for the transportation arrangement. Normal hour of the electricity availability is from 6:30-10:00 pm. In case of extra power request, please help to talk to us to understand your requirement, you are required to cover the diesel-purchase cost incurred for running the power generator. 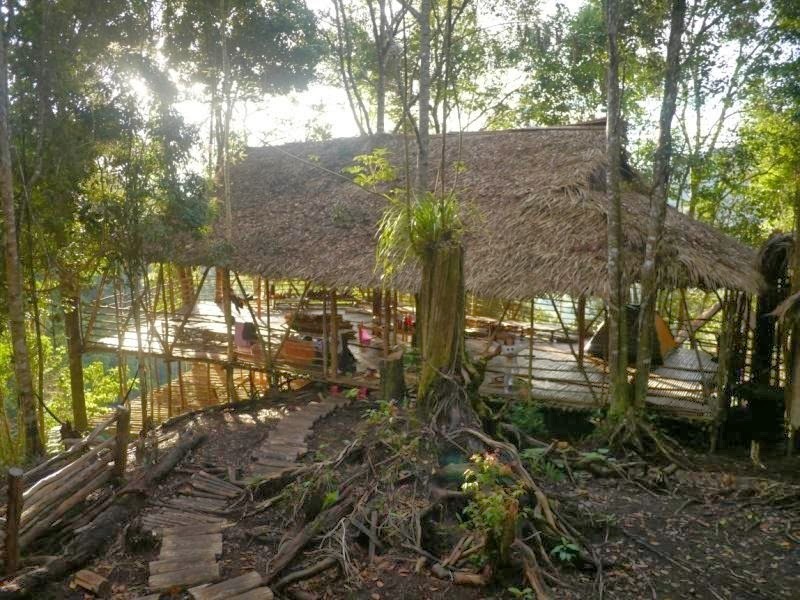 You can book the tree house 9 months or at least 7 days in advance . Reservation is only confirmed after 50% of your total amount is paid. You must pay the full amount 7 days before the departure date. Please email terratreehouse@gmail.com or SMS 012-6613299 (Tree House, SMS ONLY! NO Whatsapp NO Wechat NO FB messages please) to check for Tree House availability. Non full-house booking: 14 days and above before check-in date: 50% administration fee is charged. 75% fee is charged for any changes/cancelation of booking less than 7 days. Full-house booking: 30 days and above before check-in date: 50% administration fee is charged. 75% fee is charged for any changes/cancelation of booking less than 14 days. Minimum rate is RM3200 per night for a “Full House” booking (20 pax or below). Maximum occupancy is 45 pax. For 20 pax and above, rate at RM160/adult/night and RM125/kid age 4-12/night. Address: Jalan Sungai Mansion, Brinchang, Pahang, Cameron Highlands, Malaysia 39010. Terra’s Tree House is located in the peaceful and verdant jungle. 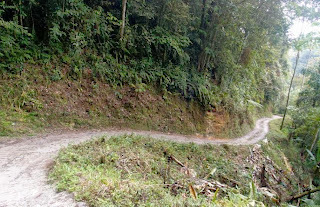 Getting there requires a 4x4 vehicle off-road adventurous journey for approximately 4 kilometres. The journey may take up to half an hour passing through numbers of farms and orchards, via a very narrow and bumpy mountain trail. 地址：Jalan Sungai Mansion, Brinchang, Pahang, Cameron Highlands, Malaysia 39010. No. Due to the rough nature of the access road (not tarred), it is impossible for public transport to drive in. It is possible only if you are driving a 4x4 vehicle. Please contact us in advance for overall parking coordination if you do plan to drive in due to a very limited parking place at our Tree House compound. Important note: Traffic is usually heavy at Cameron Highlands over the weekend and public/school holiday, you are advised to travel early and try to reach Cameron Highlands earlier. If you come from T​apah­/Tanah Rata/Brinchang direction,​you will pass Brinchang town,after 1KM from Brinchang town you will see TIME TUNNEL MUSEUM on your right.Please pass through the Time Tunnel Museum and turn right into Jalan Sungai Mensun. If you come from S​impang Pulai­/Kampung Raja­ direction, you will pass Copthorne Hotel, Jalan Sungai Mensun is on you left before TIME TUNNEL MUSEUM. If you arrive in T​anah Rata by bus,​you may take a taxi (cost range RM20-40) from Tanah Rata to pick up point. Please wait at the junction of Jalan Sungai Mensun and we will lead you to the car park. On the way to Terra Tree House at the road side. Park at your own risk. Please help to make sure your car is locked before leaving. Due to the Tree House location and limited man power, we are not able to offer flexible check in time. On top of that, journey travelling to Tree House is very costly and not environmental friendly. We are trying to minimize our trip a day, trying to bring all guests in at the same time. Please help to plan your trip to Cameron Highlands as early as possible to meet your pick up / check in time. We regret for any inconvenient caused to you. Any insistence on different check in time, separate transportation charges is imposed. Please check out the rate section for transportation charges detail. Yes it is possible but at your own risk. 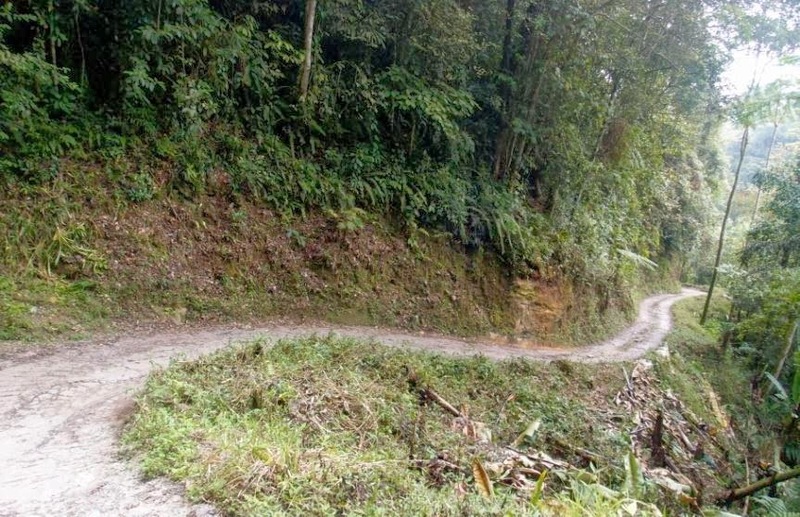 Do take note that the mountain-trail is shared among all farmers and 4WD transporters who transport veggies and others in/out from the terrain. Traffic could be heavy during the daytime. Please be extra careful while travelling across the path. Due to the Tree House location and limited man power, we are not able to offer flexible check out time. On top of that, journey travelling away from Tree House is very costly and not environmental friendly. We are trying to minimize our trip a day, trying to bring all guests out at the same time. We truly regret for any inconvenient caused to you. Any insistence on different check out time, separate transportation charges is imposed. Please check out the rate section for transportation charges detail. Yes. 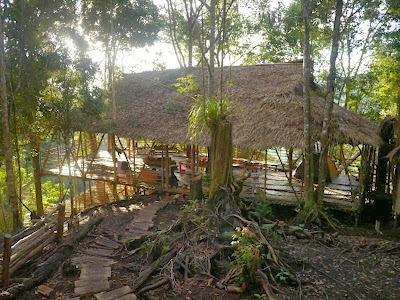 Each Tree House is attached with a bathroom except for Tree House #3, which has 2 bathrooms. All bathroom offers gasoline water heater, available round the clock. Very limited. Voice call is hard, but SMS is possible at certain spot only. Please inform your love one in advance before you travel to our Tree House，please give them tree house's phone no 012-6613299 in case they need to contact you . The interior consists of good quality organic linen beds. Bathroom with gasoline water heater and toilet roll. From the arch to the activity hall is about 400 metres. 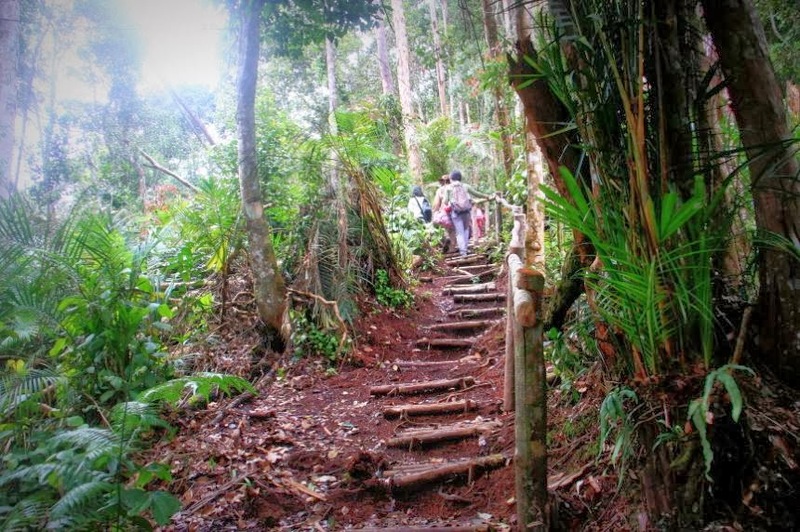 You have to climb about 300 – 400 steps uphill, which could be quite steep at certain area. It will take approximately 10 to 20 minutes in general. One with knee or walking problem might have some difficulty to access, others, please follow your own pace, and enjoy the scenery along the log piled trail. Yes. But it’s only available from 6:30 – 10:00 pm. 有。电源只于6:30 – 10:00 pm 提供. No. This might only happen when we are organizing event / workshop (full-house setting only). House 1 (comfort 5pax, max 7pax): Ground floor – 2 double beds, 1 single bed; Loft – 2 joint single beds. House 2 (comfort 4pax, max 6pax): Ground floor – 2 double beds; Loft – 2 joint single beds. House 3A (4-5pax) – with staircase access to 1st floor – 2 double beds. House 3B (4-5pax): 2 double beds. House 3 1st floor (9 pax) – access via 3A: 3 double beds, 2 single beds. House 4 (comfort 3pax, max 4pax): Ground floor – 1 double bed; Loft – 2 joint single beds. House 5 (comfort 3pax, max 5pax): Ground floor – 1 double bed, 1 single bed; Loft – 2 joint single beds. House 6 (comfort 4pax, max 6pax): Ground floor – 2 double beds; Loft – 2 joint single beds. House 3 and 4 are reserved for group travelling with elderly people or toddler at priority. These 2 houses are closest to our common activity hall. For other houses, yes, you may choose your preferred house; request must be made during your reservation, at first come first serve basis. We provide Terra's organic vegetables (types depend on the corps and harvest on that day) and cooking item from the Red Earth healthy concept shop of ours too, the cooking item include rice bran oil, sesame oil, olive oil, organic ginger, sea salt, brown sugar, soy sauce, black and white sesame seeds, seaweed, brown rice noodle, organic noodles, brown rice, millet, buckwheat, honey, organic eggs etc. We also prepare drinking material of packed Kopi-O (coffee), cocoa powder (milo), black tea, cereals and some other milk powder (full cream or oat milk or five grain milk) etc. In case we do not have the item in our farm or shop, we will buy and get them ready for you, such as onion, garlic, chilli, etc. We do not supply meat / seafood. Guest may bring in your own meat and seafood but it has to be halal. We will prepare the food for you. (2d1n: a dinner and a breakfast, 3d2n: 2 dinners, 2 breakfasts and 1 lunch, so on and so forth). We prepared only vegetarian meals at Tree House and therefore it is not a problem for Muslim guests. Anyway, we do not hold any halal certification. Breakfast 8:30 am, Lunch 1:00 pm, Dinner 6:30 pm. If you need to change your meal timing, kindly help to contact our person in-charged at Kitchen. We need to rely on the harvested organic vegetable from our farm during your stay to decide food preparation. Therefore we regret that we couldn’t provide you the menu of the day. Yes. You may bring in your own food but it has to be halal. We strongly encourage no meat food. 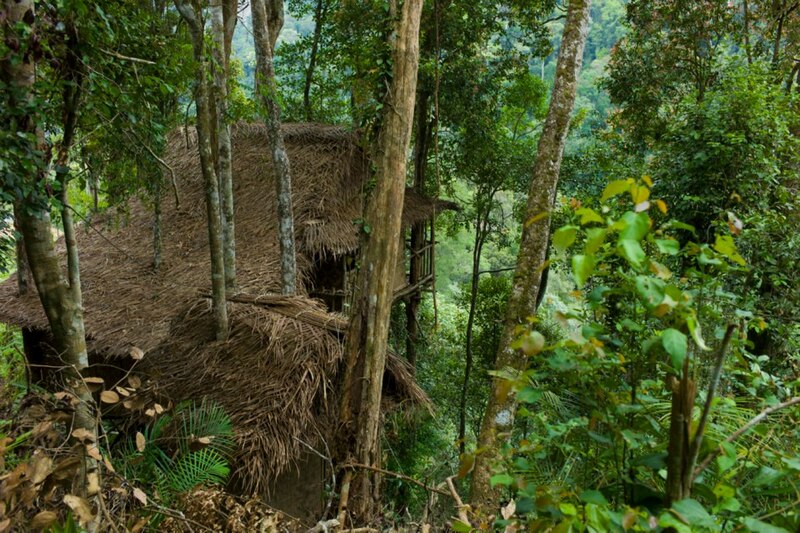 Due to Tree House is located in the forest, meat and the leftovers tend to attract more wild-life during the night. There is only one common kitchen available for cooking; the food will be served at the common activity hall. Please refer to our Tree House map for the kitchen and activity hall location. No, but please bring along your water container / thermos. We use spring water, it is drinkable without boiling. We do boil some of them to offer hot water and for concerned guest with boiled water. Yes. We smudge our Tree House once a week with coal and lemongrass. This is our native way of keeping the insects away. Certain house is setup with mosquito net too. Anyway, we do not have major problem of them at the moment. You may bring along insect repellent for extra protection. When stock is available, we do sell our home-made insect repellent made from bee wax and lemongrass oil. Very rare. But there is 1 or 2 when you trek to the nearby waterfall. Terra’s Tree House, Cameron Highlands is located on the Titiwangsa Range (thick forest) of Peninsular Malaysia. We live with the jungle. There are many insects and animals that live or travel across tree houses. Yes, there are mosquito, flies, bees, butterflies, bats, spiders, scorpions, caterpillars, centipedes, ants, cicadas, beetles, beautiful birds, soaring eagles, swallows, owls etc. There might be mountain goat, kancils (little deer), wild cats, bear, tigers or leopards, anyway I don’t think they like to travel here, and Cameron Highlands is simply overdeveloped. Terra’s Tree House, Cameron Highlands is located on the Titiwangsa Range at about 1500 metres above sea-level, the temperature here can drop to 16 degree Celsius or lower at certain times. During the raining season (year-end) we had the lowest temperature record of 9 degree Celsius. The weather here remains at the lower 20’s most of the time. Due to limited man power, we do not accept non-overnight guests. ONLY IF we have enough staff to entertain and the charges are RM200 per trip (max up to 10pax). Appointment must be made at least 3 days in advance. Please visit our FaceBook page of "Terra's Tree House". All in house events and workshops will be published at the FB page once it's finalized. Trail connecting from houses to our common hall, not tarred, piled with logs and jungle trail. All guests are required to pack your own rubbish and carry out away from Tree House during check out. We encourage guests to use less or if possible try not to use the toilet roll / paper. Clean water is available at each toilet for washing. All guests are required to do your own dishes after meal(s). We provide liquid washing enzyme for dishes. Smoking and fire are totally prohibited in our Tree Houses. There’s a designated fire pit located at our common hall for fire setup purpose. Please help to throw all your kitchen waste into a bucket prepared in the kitchen. Toilet paper / paper / teabags / coffee bags are not considered kitchen waste. Please keep them into your rubbish bag. There will always be at least a dedicated staff who will attend to your emergency need. Ming Yew.As most of the time they are very busy, please help to send only SMS to +6012-6613299 or email terratreehouse@gmail.com and do allow us to come back to you in 1 to 2 days time. As a Tree House guest, you may order from us on the first day you arrive (only if our crops are available). You do have to collect your ordered veggie box after check out, at our Red Earth shop at Kampung Raja, Cameron Highland.